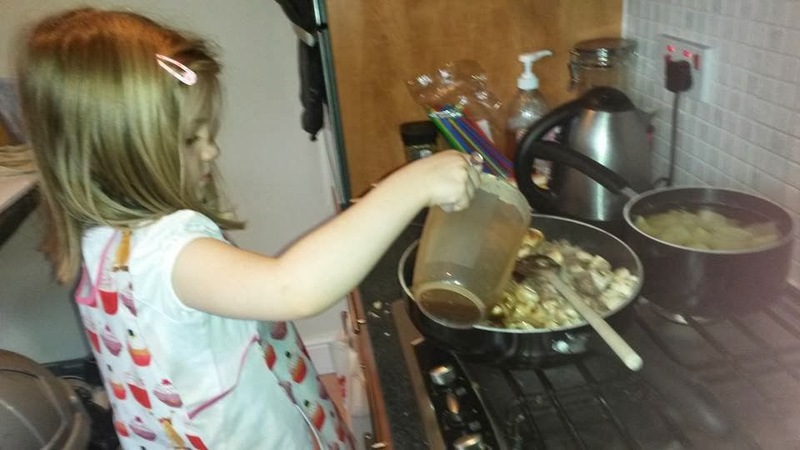 Mummy M's Memories: February Half term review! We are still new to half terms, with J only being in nursery and S not old enough to attend yet. But we have learnt that keeping them occupied will bring us the better behaviours, and memories to look back on! Saturday started with Daddy M returning back from working away for 4 days, he had arrived during the night, so the girls hadn't realised he was back until I mentioned it after breakfast, where they then proceeded upstairs to wake him up with lots of cuddles and kisses. Daddy M had brought back a big tube of princess smarties each for them, which later turned out to be a hidden pen... we found out after S had drawn all over the hallway wall with it.... The day was then spent drawing, and watching movies and with a take out lunch of KFC. 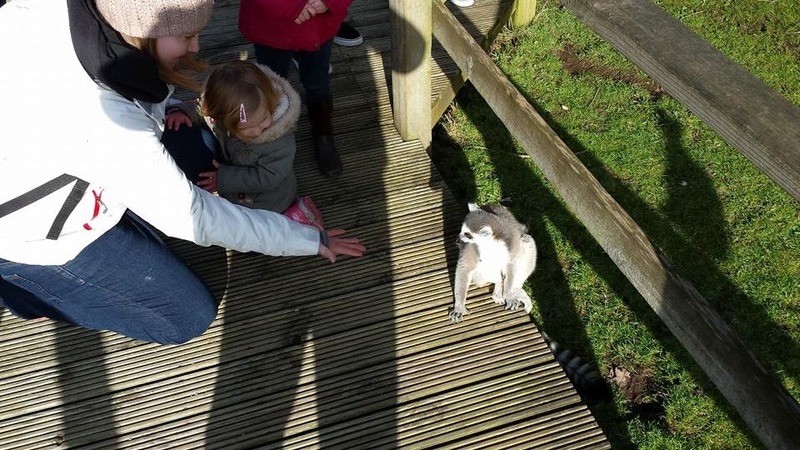 Sunday we were lucky enough to be given some Tesco club card vouchers by Grandma and granddad M, so we went off to Blackpool Zoo, and opted to go buggy-less. Little S kept up all day without a grumble whilst looking at the animals, and enjoying the shows of sea lions and birds. J found the monkeys funny, and we were lucky enough that they would come up and touch us through one of the enclosures. Monday we had another chilled out relaxing day playing with toys, and doing the food shop. Tuesday, we hunted down a deal on lego, and Daddy M showed the girls how to build various models with the new toys, (think the lego was for Daddy really?) 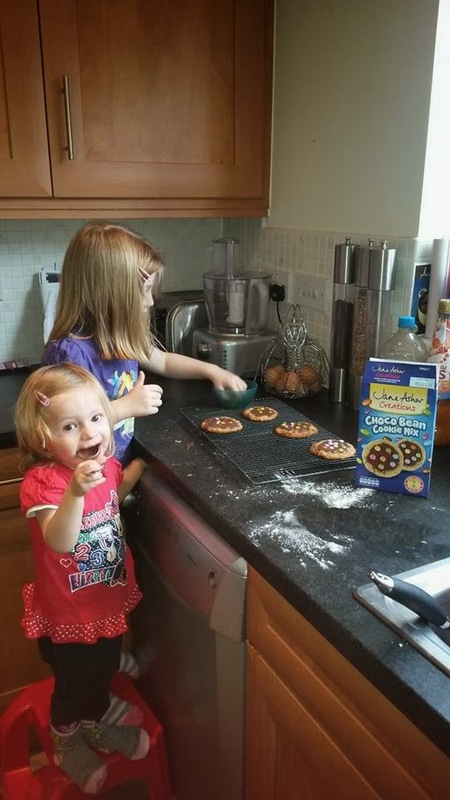 We also made some biscuits from a pre-packed box, it said it would make 6, but we found it only made 4, was pretty pricey for what you got, but they tasted nice, and the girls enjoyed it! Sophie just liked liking the spoon again! Wednesday, we treated the girlies to see the new Tinkerbell and the pirate film in the cinema, this was a risky move, with a just 2 year old and a 4.5year old fidget, half term week and orange Wednesday? But it proved to be all ok, and we lasted the whole film (just) in our own seats. Just before the film, we went into the ASDA next door, and let them choose their own bag of sweets, I think this is what helped they stay put? Sweeties before lunch?? Wow! 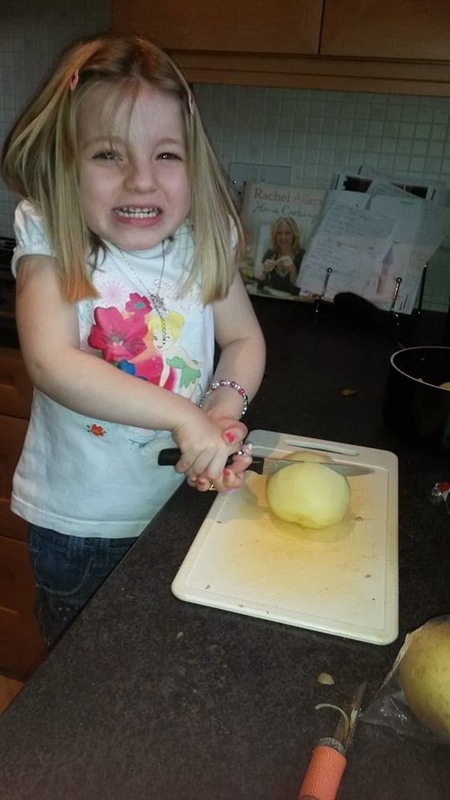 We also let J cook dinner for us in the evening... homemade pie, mash n veg... she loved doing it, but found the potatoes very hard to cut! My memory is fading, and I cant really remember Thursday, but think that was the day S came down with a high temp, so I spent every 30mins rechecking her temp, dabbing her down, and trying to chase her around with her juice. And today/Sundays was our cake baking day which you can view here We also done more colouring, puzzles, dancing, and got the girls to help clean. I can guess when J's nursery teacher asks her tomorrow, what did you do in your half term? I'm sure she will say "I cant remember" or "oh, nothing"